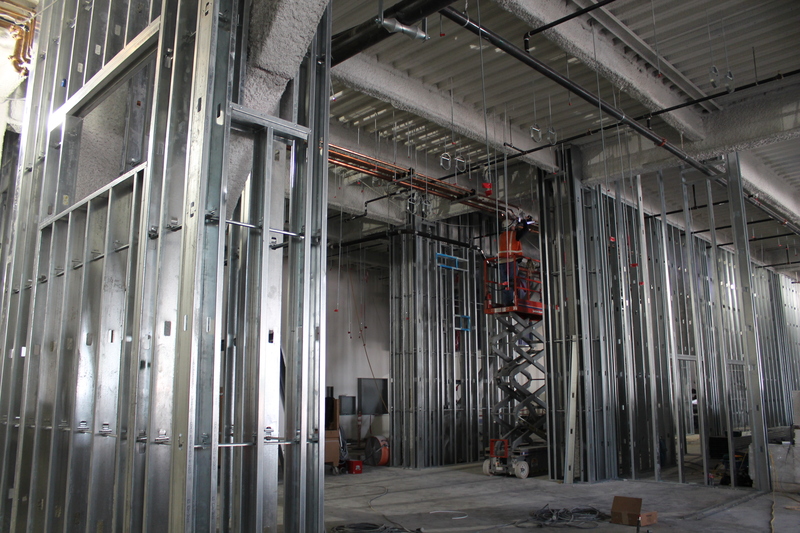 A crew member works on the pipes in the basement, which has been framed and is awaiting drywall. 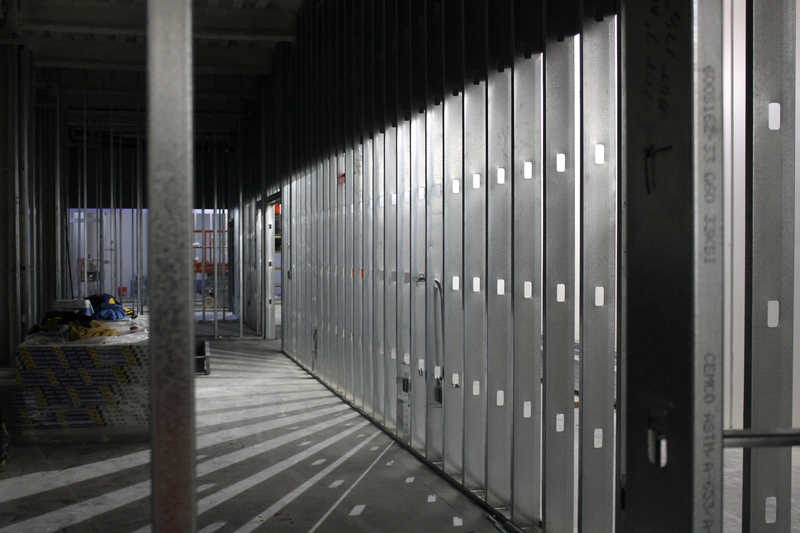 A framed storage area in the basement of Aztec Student Union. 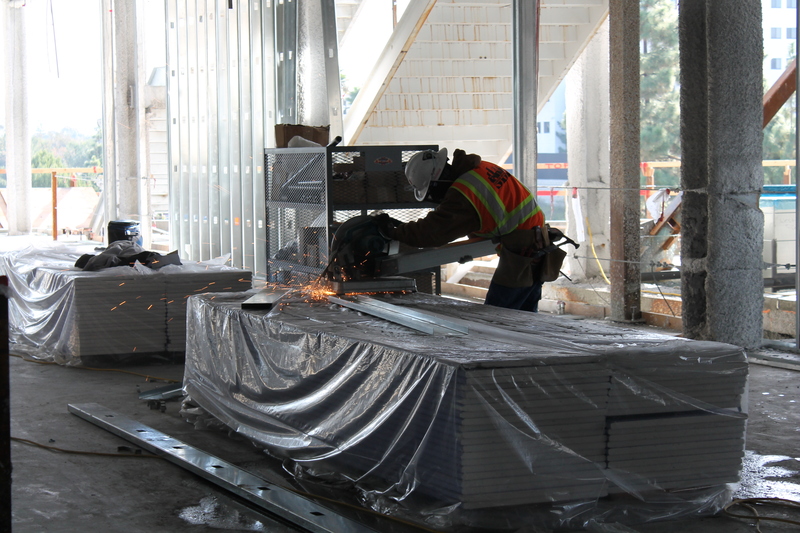 A crew member cuts a metal brace for use on the first floor. 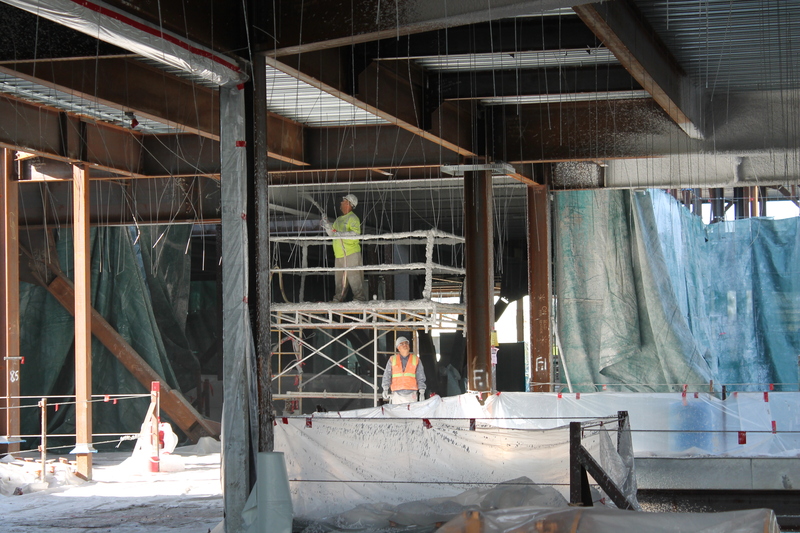 Fireproofing continues in Aztec Student Union. 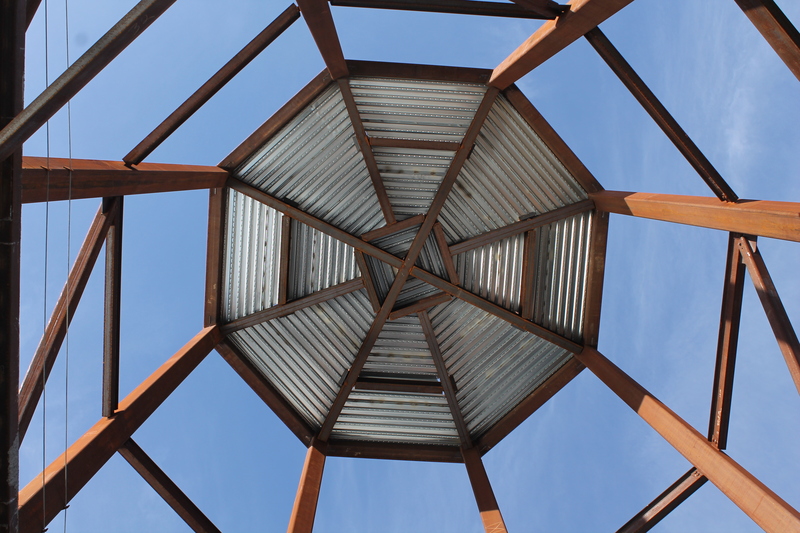 The underside of the tower that serves as a prominent architectural feature in Aztec Student Union.